As Halloween looms, Merlin Events wants to know what you think makes a Halloween party so terrifyingly exciting you scream with delight. It is believed that Halloween initially incorporated traditions from festivals honouring the dead. It seems that nowadays we still honour these traditions by resurrecting the same old Halloween themes. Murder mystery parties and haunted houses seem to be a compulsory requirement for the Halloween period. However, for a theme to engage and excite your unsuspecting guests, you must both trick and treat them. For a theme to be fluent, it should not only tie in with the venue chosen but subtly appear around every sinister corner. Creating an edgy alternative or putting your own twist on traditions, together with a new but dark soundtrack will thrill your guests. 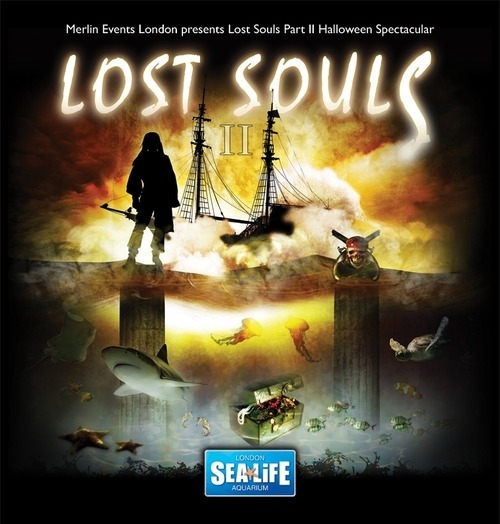 This year Merlin Events presents Lost Souls Part II at the SEA LIFE London Aquarium. The question is, are you brave enough to enter live scare maze through the Aquarium’s Rainforest area? Revellers will need to escape the clutches of bloodthirsty piranhas, Cuban crocodiles and killers sent from ‘Scream’ who feature in Madame Tussauds’ Chamber of Horrors. 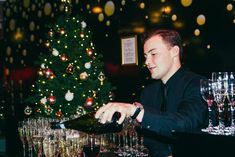 Cocktails on the night will be chosen by Twitter followers of @MerlinEvents (follow #AquariumHalloween) and top music producer DJ Steve will make sure you are running for the dance floor rather than the hills. 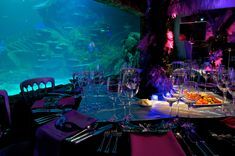 Are you brave enough to attend this year’s Halloween spectacular at the SEA LIFE London Aquarium? If so, we want to know what will you be dressing up as?